Cologne Life Reinsurance Company, the subject of this Cologne health insurance company review, traces its roots back to 1999 as a reinsurance provider for healthcare insurers in the United States. While the company still exists, it is now part of Berkshire Hathaway and no longer does business under the Cologne name. 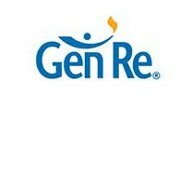 The company officially filed a new DBA some years ago and now operates under the name General Reinsurance Life Corporation. Entering your zip code below gives you instant access to online health insurance rates from companies in your area. For the purposes of this review all references to Cologne Life Reinsurance Company will be written as “Cologne/GRE”. We have chosen this designation simply because we do not want you to be confused and assume that the Cologne name is still being used. If your health insurance is issued through GRE, which is the same company that used operate under the Cologne name. Keep in mind that the nature of the insurance business is such that provider s change names and parent companies frequently. Cologne/GRE provides health insurance products as a reinsurance company rather than a retail underwriter. In other words, the individual consumer will not be found carrying around a Cologne/GRE health insurance identification card. Rather, his health insurance carrier might be a smaller, local company, or even a self-insured plan offered by his employer. However, in such a case Cologne/GRE would act as the insurance company of your health insurance provider, backing up that company in case of catastrophic loss. Think of it in terms of insurance for insurance companies. Like any business, your health insurance provider assumes certain risks just by being in business. The company must carry its own insurance policy as a means of protecting itself from losses that could jeopardize their financial health. Your insurance carrier will go to a company like Cologne/GRE to purchase their own coverage. Cologne/GRE provides reinsurance not only for healthcare providers, but also for automobile, home, life, and business insurers. As such, Cologne/GRE is not in the practice of using individual, local agents. They work directly with their clients to provide customized reinsurance solutions that meet their individual needs. All Cologne/GRE representatives will be direct company employees rather than independent contractors. Under this model, clients are given the best possible service with direct access to their underwriter. These are things that cannot be accomplished as easily when you are working through an agent. On July 13, 2011, A.M. Best reaffirmed the financial strength ratings for Cologne/GRE. Their rating, which currently sits at “A++” Superior, is a testament to the great financial health the company enjoys. According to this rating, it is clear that Cologne/GRE is more than able to meet its current debt obligations as well as pay claims. Their future outlook rating is also stable, meaning the company is well positioned for future growth and long-term financial obligations. The latest records we could find on Cologne/GRE indicate the company has total assets of $109.6 million, a policy surplus of $34.7 million, and just over $5 million in working capital. These numbers are not exceptionally large in comparison to other similar reinsurance companies, but according to A.M. Best, their ratings are as high as they are due to their consistently strong performance and the backing of parent company Berkshire Hathaway. Cologne/GRE maintains a careers link on their corporate website. Unfortunately, that link is dead. We must assume that the company does maintain a database of available jobs and provides a means of submitting resumes through their HR department. You can certainly try contacting either of the two offices listed above to inquire about career opportunities. You might also search industry-specific job posting websites that deal with the financial services sector. From the information we have gleaned about Cologne/GRE it appears as though they operate fairly independently of Berkshire Hathaway. Therefore, we assume that they handle their human resources needs independently as well. In all likelihood, job applicants would submit their resumes directly to Cologne/GRE rather than the parent company. If you are searching for better health insurance rates than you currently pay, you can start your search by entering your zip code below.